UPDATE: The results are in and during this campaign, 3-D mammograms increased 680% compared to the previous year. Additionally, the total number of mammogram appointments increased by 21%—the first year-over-year increase in at least two years. ...And a set of unique advertising challenges to present themselves like clockwork. 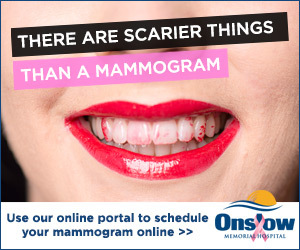 Because, as we’re sure you know by now, October is National Breast Cancer Awareness Month. 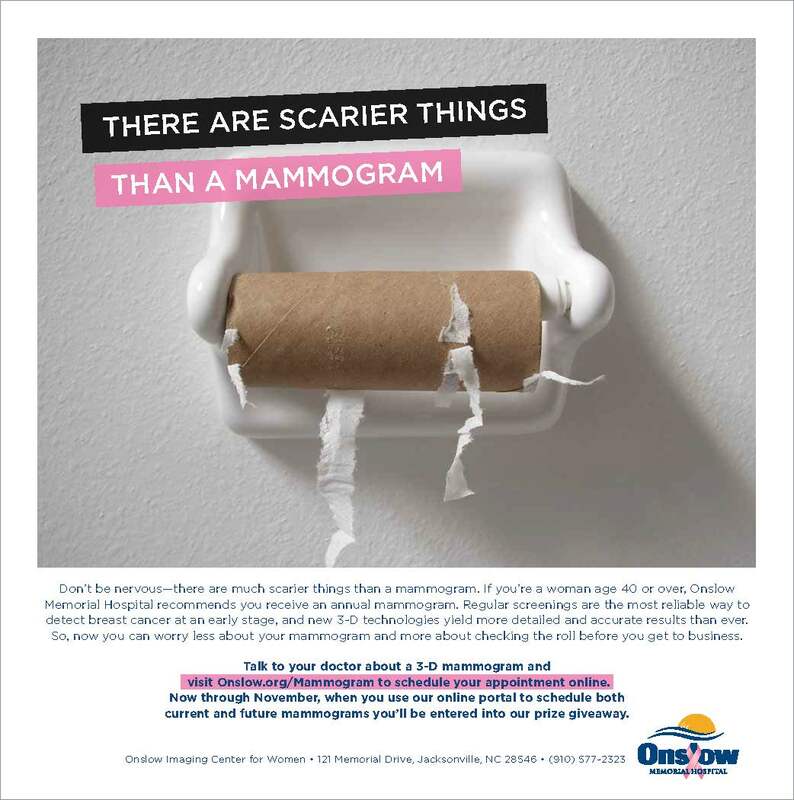 And each year, our creative team is presented with the dilemma of how we help our client, Onslow Memorial Hospital, break through the perpetually pink advertising clutter. This year’s solution utilized a personal favorite technique from the Saturday team—humor. 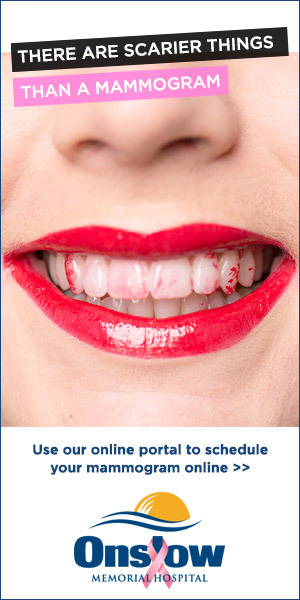 The disarming and engaging effects of humor have long been established in advertising. But at Saturday, we feel it’s important to not simply use humor for humor’s sake. As always, our campaign was launched from a key insight. In our research, we discovered that in Onslow County, only 65% of females over the age of 40 reported having a mammogram. And this number is lower than all peer county rates and the rates for NC overall (68%). After hearing these numbers we couldn’t help but ask—why? And then research it. There are a handful of reasons women say they postpone or even skip screenings. But at the end of the day, what it all boils down to is fear. Fear of radiation, fear of pain or discomfort, but most of all fear of what they’ll find. The purpose of this campaign is to disarm and engage women by humorously reminding them that they come face-to-face with much scarier things than a mammogram every day. Whether it’s spiders, wardrobe malfunctions, or inexplicable childhood fears, this campaign is a creative way to lend perspective to women, get a giggle out of them, and empower them to put their “fears” aside in the name of health. Because one thing that’s truly scarier than a mammogram is a late-stage cancer diagnosis—and skipping screenings like mammograms and breast exams put you in further danger of this reality. We even tried to hire a clown to stand on the busiest intersection in Jacksonville, holding a sign that says, “There are scarier things than a mammogram”. But we were too afraid to meet with the clown. 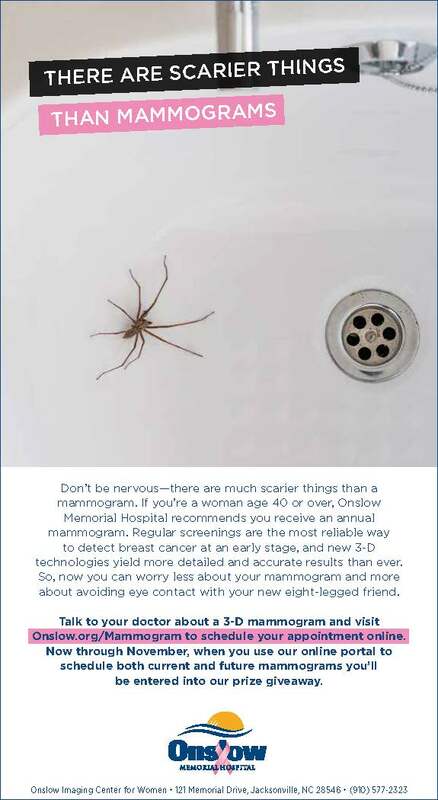 The campaign had impressive results, helping to increase use of 3-D mammograms by 680% compared to the previous year. 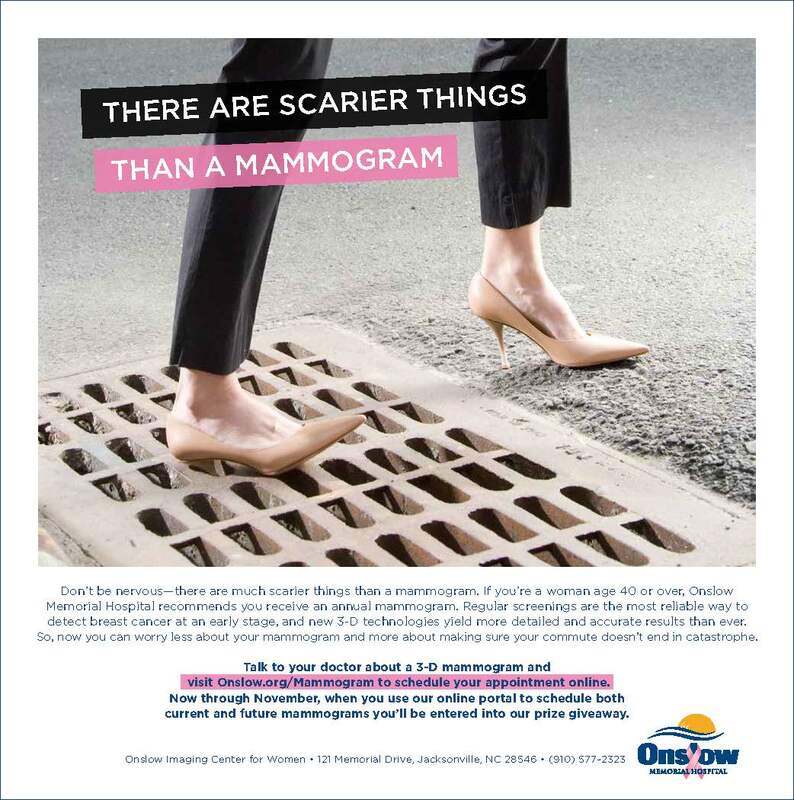 Additionally, the Onslow Imaging Center for Women saw the total number of mammogram appointments increase by 21%, the first year-over-year increase in at least two years.